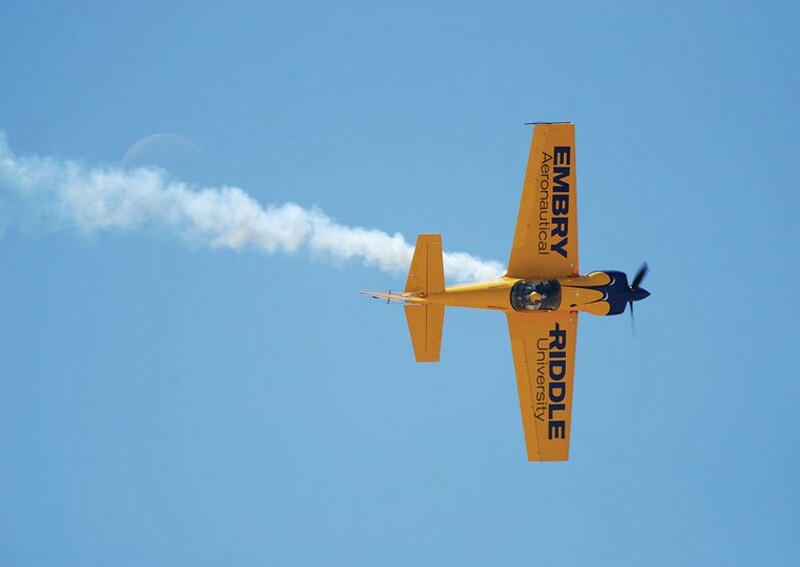 Herman Bouler's "Knife Edge" at Silver Linings captures Matt Chapman piloting an Eagle-580 at the Tucson Air Show. is presented by members of the McKinleyville business community and is open for all McKinleyville businesses to display the work of local artists. Receptions for artists, exhibits and/or performances are held on the third Friday of each month. Call 834-6460 or visit www.mckinleyvilleartsnight.com for more information. SILVER LINING 3561 Boeing Ave., #D (at the California Redwood Coast Airport). Herman Bouler, photography. Music by JD Jeffries and Michael Stewart. MCKINLEYVILLE HIGH SCHOOL 1300 Murray Road (in the library). "Fresh Ink," student sumi-e paintings; "Game of Life," student photography. MCKINLEYVILLE FAMILY RESOURCE CENTER 1450 Hiller Road. Art and activities for children of all ages from 6:30-7:30 p.m.
BLAKE'S BOOKS 2005 Central Ave. Jeff Stanley, paintings. CHURCH OF THE JOYFUL HEALER 1944 Central Ave. "Images of the Devine Feminine," Connie Butler, Pat Kanzler, Lauresa Tomlinson, Deborah Kallish, Evelyn Wiebe-Anderson and others.